I’ve had a number of readers express confusion about whether SIDEKICK is a stand-alone book or a series. First let me say, I am so sorry! Kind of. I know SIDEKICK ends with some questions unanswered, and I also know that was a horrible thing for me to do. I think I need to go into a little bit of the history to explain how SIDEKICK came into being in order to clarify why I did this. To begin, I always intended SIDEKICK to be a series. I love series, and when I came up with the idea for SIDEKICK, I was so excited about all the different directions I could take the character Bremy St. James. After I finished writing the first book, however, the cold, brutal realities of the publishing world set in. At first, SIDEKICK’s future looked bright. I had a number of nibbles from agents, but they all can back with the same verdict – it’s funny, it’s smart, but it may be just too out there to be an easy sell. After all, the urban fantasy world is pretty well saturated, and most of the genre focuses on the moody and broody. Well, Bremy St. James is a lot of things, but moody and broody she is not. That was a purposeful intention on my part, though. I wanted to depict a young woman who was resilient, who didn’t break into a million pieces by every hardship that came her way, whose everything wasn’t wrapped up in a man… someone heroic, even if at times her heroism is slightly delusional. Anyway, at this point, a friend of mine recommended I pitch directly to editors. That’s when things really started to happen. All of the sudden, I had a bunch of offers! Good times. I finally settled on Escape Publishing because, to use a modern cliche, they really seemed to be picking up what I was putting down. The thing with my ebook contract though is that I didn’t get a multi-book deal with a schedule. Don’t get me wrong Escape has been extremely encouraging about sequels, but it’s just not guaranteed. So where does SIDEKICK 2 stand? Well, I hope to have it completely done by the end of October. Let me say, I have had so much fun with the sequel. My poor Bremy who never lets anything get to her is about to be truly tested to her emotional core; Jenny, her mysterious twin, is about to step into the light; and, of course, everybody’s romantic relationship will be shaken…Oh! And, of course, there will be more Dark Ryder. Once it’s done, I will have to submit to Escape to see what they think. I am thoroughly optimistic that they will be pleased (SIDEKICK, I think, has had a good debut, so that helps). At that point, I should have a release date, a cover reveal, and all that fun stuff. So in the meantime, if you’re hoping for a sequel, write a review or give SIDEKICK a rating if you haven’t already (Goodreads, Amazon, KOBO, B&N, whatever! ), recommend it to a friend, or just keep your fingers crossed. Thank you to everyone who has expressed interest, and, once again, I apologize for the confusion! Auralee Wallace is an author of humorous commercial women’s fiction and occasional guest blogger at Penny Dreadful Book Reviews https://pennydreadfulbooks.me/. She is a member of the RWA, and her debut novel, Sidekick, a superhero urban fantasy, placed as a finalist in the Virginia Fool for Love Contest, The TARA Contest and The Catherine. 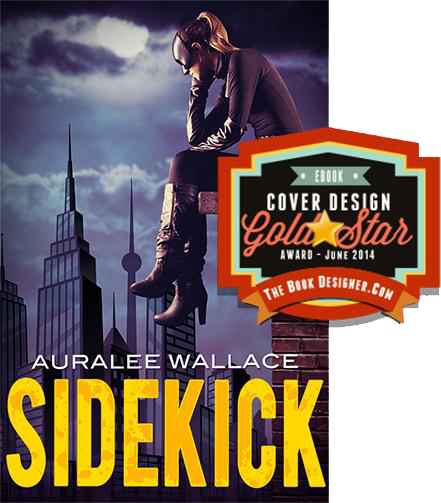 Sidekick has been picked up by Harlequin’s Escape Publishing and is due for release June 1st, 2014. Auralee has an undergraduate degree in psychology, a Master’s degree in English literature and has worked in the publishing industry for a number of years before teaching at the college level. Auralee has always been fascinated by the power of stereotypes in terms of race, gender, and disability and how those beliefs colour our understanding of the world and of each other. When this semi-natural blonde mother of three children and three rescue cats isn’t writing or playing soccer, she can be found watching soap operas with lurid fascination and warring with a family of peregrine falcons for the rights to her backyard. 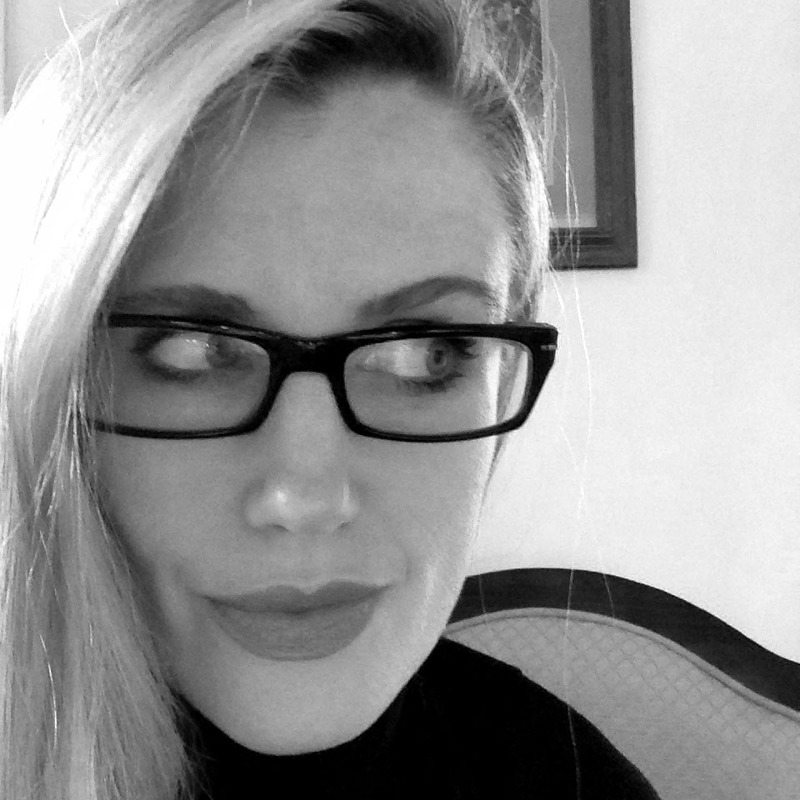 She can also be found on Twitter, Goodreads, Facebook, and her blog http://auraleewallace.com. Bremy St James, daughter of billionaire Atticus St James, has been cut off from the family fortune and is struggling to survive in a world that no longer holds its breath every time she buys a new outfit. To make matters worse, her twin sister is keeping secrets, loan sharks are circling, and the man of her dreams — a newspaper reporter — is on assignment to bring down everyone with the last name St James. Things are certainly looking bleak for the down-and-out socialite until a good deed throws her into the path of the city’s top crime-fighter, Dark Ryder. Suddenly, Bremy has a new goal: apprentice to a superhero, and start her own crime-fighting career. Ryder has no need for a sidekick, but it turns out the city needs Bremy’s help. Atticus St James is planning the crime of the century, and Bremy may be the only one able to get close enough to her father to stop him. Now all she needs to do is figure out this superhero thing in less than a month, keep her identity secret from the man who could very well be The One, and save the city from total annihilation.